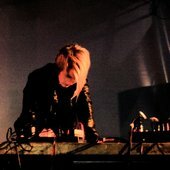 Allseits is German dark-ambient artist Nina Kernicke. After a six-year silence, she is back with a new offering of discordant soundscapes. Chimäre begins with pulsing drones, reminiscent of guitar feedback, overlaid with ominous electronic waves. By the third track, In the Hills, the album takes on a slightly lighter tone, with a rapidly-shifting, sequenced melody surrounded by deeper chords. This interlude is gone by the next track, Monster, which features acousmatic scrabbling with distorted drones and a throbbing rhythm. On the other hand, the 17-minute October includes ponderous industrial drumming and washes of metallic scraping. The final offering, Sink in Sideways, includes wordless vocals over a slowly boiling and evolving dystopia. Chimäre is a journey that begins in a bad place, provides a few twinklings of hope, and ends in insanity. Kernicke is not in a rush to get anywhere with her music – the pace is relaxed even if the mood is not. Each piece is tightly composed, with a clear beginning, middle, and end. Comparisons could be made to Lustmord, the darker, late-90’s works of Robert Rich, with a touch of post-rock on the side. A very solid and enjoyable release. The latest album from Ben Monder is reviewed. Mats Gustafsson‘s Piano Mating is also reviewed. Pulverize This Sound, an album from Peter Evans, Tim Dahl, and Mike Pride, is reviewed as well. This Saturday, The Uncertainty Music Series continues with a performance by NY-based trumpeter Jaimie Branch and Chicago-based cellist Tomeka Reid as a duo. They will then be joined in the second set by bassist Carl Testa and another special guest TBA. The third and final performance of Gelsey Bell’s residency will consist of two collaborative duets: a new work created with her sister, choreographer and dancer Biba Bell, and a concert version of music created with John King last year for Compagnie CNDC-Angers’s performance of Merce Cunningham. Despite their long history of collaborations with other artists, this will be the first time the Bell sisters have created a work together. With a shared interest in the idiosyncrasies of site and disrupting conventional audience/performer relationships, this new work will be a meeting of aesthetic and philosophical inquiries that have followed the sisters throughout their lives, sometimes blurring and sometimes accenting the idioms of their chosen disciplines, music, and dance. After the success of Gelsey Bell and John King’s music at the Joyce last March, some audience members expressed a desire for a concert performance independent of the dance. This evening’s performance is an answer to that request. 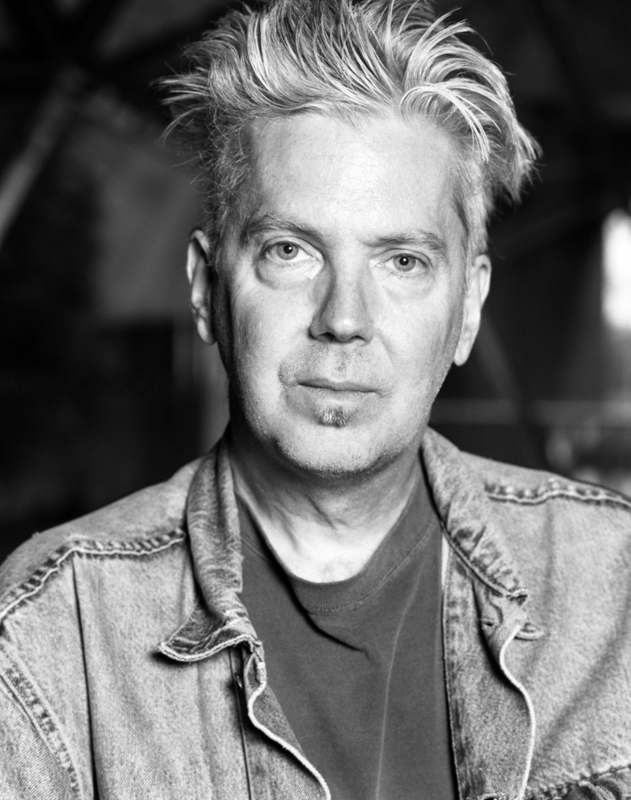 Hailed by The New York Times as a “spectrum of sound from tintinnabulations to surreal soprano warbling and noises like an engine’s and propeller’s made strangely lyrical,” the music was created in the spirit of the classic John Cage / Merce Cunningham collaboration and composed separately by Bell and King. Bell’s half of the score, entitled Airs and Interruptions, was constructed to flexibly weave with the timbres and sensibilities of King’s music, as well as be reorganized for each individual performance. As individuals, Jeremiah Cymerman, Toby Driver, and Mario Diaz de Leon have been responsible for some of the most extreme and intense music to come out of New York’s experimental music scene in the last ten years. As a trio of clarinet/electronics, bass, and guitar, they perform impassioned and haunting free improvisation under the name Bloodmist. Since 2011, the group has been slowly developing a unique voice that pays to tribute to the collective experience of the group, encompassing the worlds of extreme metal, modern classical composition, noise, free improvisation, compositional rock, and beyond. The group celebrates the release of their debut album Sheen on Cymerman’s 5049 Records. Andrew Hock (Psalm Zero, Luminous Vault) began performing his hypnotic and haunting long-form compositions for solo guitar and electronics in 2012. His debut solo record, “Crystalline Privative Opulence,” was released on Union Finale in March of 2015. 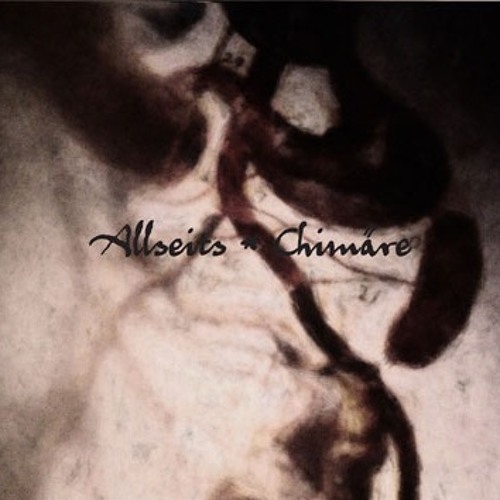 Inspired by the music of Henryk Gorecki, Gyorgy Ligeti, the regal melancholy of pivotal second-wave black metal, the work of ambient composers Eliane Radigue and William Basinski, the churning, pulsing fervor of Brighter Death Now and the polyrhythmic clean tone guitar work on King Crimson’s “Discipline,” Hock’s solo work is an exploration of the space in which these influences co-exist. Acclaimed pianist Stephen Gosling will perform Mario Diaz de Leon’s “Cosmogony” for piano and electronics, written for him in 2015. Gosling enjoys a varied career as soloist and chamber musician with a particular focus on the music of our time.